We are committed to a holistic and functional approach in the evaluation and treatment of communication disorders with children and adults with the emphasis on evidence based best practices within the field of speech and language sciences. We believe that the essence of being human is to communicate successfully and with dignity, regardless of the severity of the communication disorder. 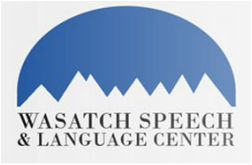 We honor the individual differences in the development of speech and language skills, as well as the challenges an adult may face with a communication disorder. Individualized Treatment for Successful Communication.